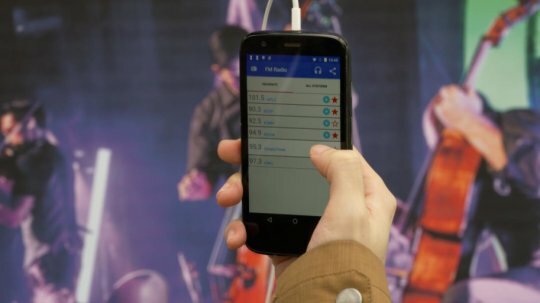 (218, 'Revolution of Smart Cities', 'Trivia', 'Researchers at the University of Washington (UW) have developed a technology that transforms random objects into FM stations, ready to send information to your car’s radio or smartphone. Lead faculty and UW assistant professor of computer science and engineering Shyam Gollakota explained, engineers enable smart cities and fabrics to let objects ‘talk’ or emit sounds by sending data to a smartphone.According to co-author and UW electrical engineering doctoral student Vikram Iyer, the problem is that radio technologies such as Wi-Fi, Bluetooth, and FM stations only last less than half a day through a coin cell battery while sending out data. The UW team uses a technique called “backscattering” which uses low-power radio signals that exist in the air to send data. The team explained that a “singing poster” could transmit band’s music and its advertising at 12 feet to a smartphone or 60 feet to a car. "FM radio signals are everywhere. You can listen to music or news in your car and it's a common way for us to get our information," said co-author and UW computer science and engineering doctoral student Anran Wang. There are three distinct techniques for sending audio signals and information using FM backscatter: One just overlays the new data on top of the current signals, the other utilizes unused segments of a stereo FM radio band, and the third uses collaboration between two cell phones to interpret the message. Based on the team’s gathered data, the aggregate power utilization of the backscatter framework was 11 microwatts, which could be effectively powered using tiny solar cells. "Our system doesn't disturb existing FM radio frequencies," said co-author Joshua Smith, UW associate professor of computer science and engineering and of electrical engineering. "We send our messages on an adjacent band that no one is using -- so we can piggyback on your favorite news or music channel without disturbing the original transmission. "Want to know more about this awesome device? Follow this Link!